Charles XIV & III John, also Carl John, Swedish and Norwegian: Carl Johan (26 January 1763 – 8 March 1844) was a Swedish monarch. 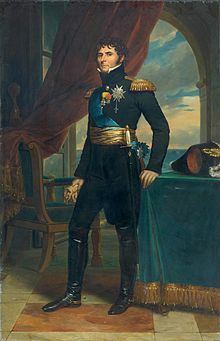 He was the King of Sweden (as Charles XIV John) and King of Norway (as Charles III John) from 1818 until his 1844 death. Before he became Swedish royalty, he had also been the Sovereign Prince of Pontecorvo from 1806 until 1810, but then stopped using that title. This page was last changed on 15 July 2016, at 16:32.